The Ridge at Troon North is located on over 11 acres, between the 1st and 9th holes of the Monument Course at Troon North. The Ridge at Troon North offers 100 condominiums with fairway and mountain views. Four models range from 1,315 to 1,835 square feet. 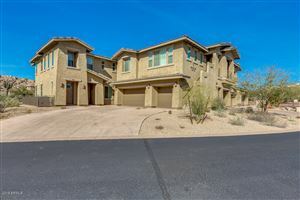 Other amenities include a gated entrance, resort pool, 1,700 square foot fitness center, and the natural beauty of the Sonoran Desert and Troon North. See all The Ridge at Troon North.